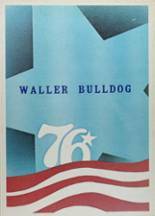 Listings of high school yearbooks for Waller can be found below. You will find former students who are seeking yearbooks, those looking to sell a yearbook and general yearbook requests among the WHS yearbook listings. This yearbook section was created to help alumni post yearbook classifieds. While you are reminiscing about the times you spent in high school at Waller High School, you should also check out alumni photos, yearbook listings and share any reunion info if possible. Requesting a year book from my graduation year. Could not afford one before. I'm looking for a yearbook from the 2002-2003 school year and was wondering if anyone has them. Im looking to see if you have the 2001 yearbook. I would love to have a copy of the 1993-1994 yearbook. I had one but it was lost when I let someone borrow it & they never returned it. Need to buy a 1989 Waller High School yearbook. I would like to purchase a yearbook for the school year 1978-79. I would like to purchase a yearbook from 1975. Mine went up in a house fire. I have lost my copy. I would really like to replace it. 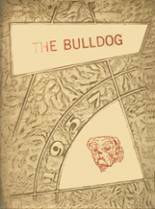 I didnot graduate but would like to have year book from 1961 it was called the wallerian. I lost mine in house flood. Please mail if you have one I am in it in class pic and pep squad pics. Thanks a lot.